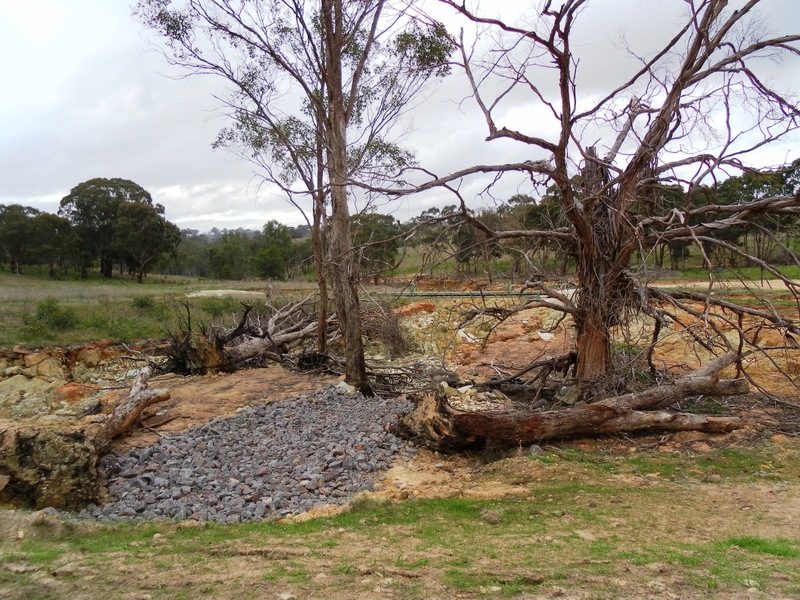 Two years ago, this area had major flooding, filling the Eppalock Dam which had been down to less than ten percent capacity for many years. This section beside the dam was a raging torrent, washing away the road and taking everything in its path. Just recently the road was repaired and we are hoping a nearby picnic area will once again be opened to the public. I was reminded of the flooding when I heard a news/weather report earlier this week saying we are in for a hotter, drier summer . . . but that’s what they said just before the floods two years ago!